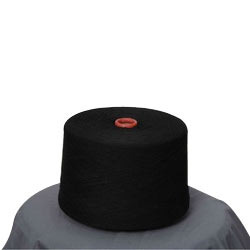 Jindal Groups is considered a well known name in the industry that manufactures and trades Cotton Yarn Waste. The proffered collection of yarn waste offered by us is vastly used as a protective lining around the corner of cotton garments. 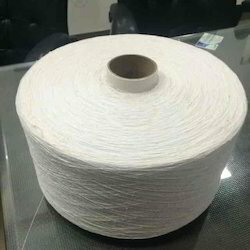 Cotton yarn waste is highly appreciated for its good insulation properties. It is made available in various packaging sizes. Jindal Groups is a trusted name in the industry that offers Shoddy Yarn that is re-spunned from shredded and recycled textiles. Offered in a varied range of colors, thicknesses and lengths, the provided shoddy yarn is extensively demanded among our valuable customers. 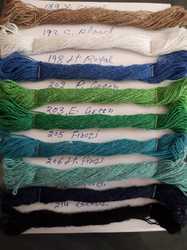 The offered batch of shoddy yarn finds a vast application for making threads and weaving fabric. Our company is one of the preferred names of the market that engages in offering Acrylic Regenerated Yarn that is offered in standardized packaging. 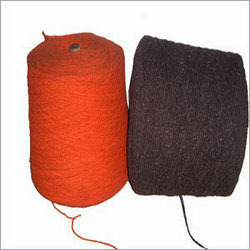 Weaved with the help of efficient machines and tools, the offered yarn is extensively popular for its neat finishing, longer life and colorfastness. Owing to the soft texture and lightness, this yarn is used for making shawls and scarves.